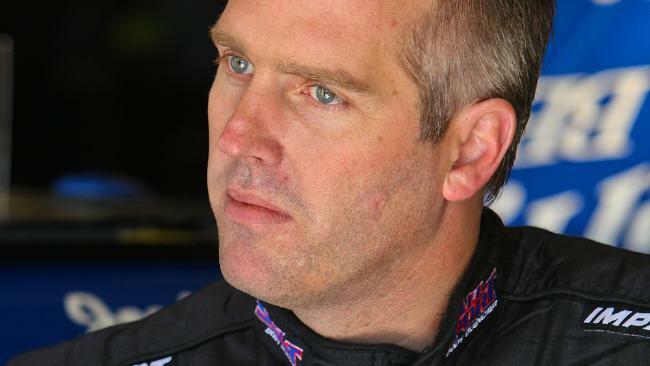 Jeremy Mayfield will appeal no more. 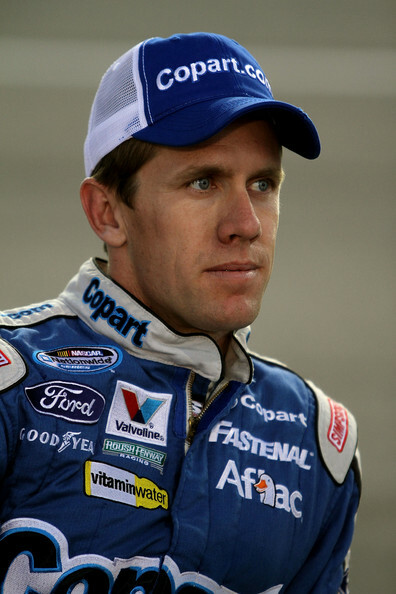 The Sporting News is reporting that Jeremy Mayfield will not appeal his case against NASCAR to the United States Supreme Court. In May of 2009, Mayfield was suspended by the sanctioning body when a random drug test revealed methamphetamine in his system. Mayfield argued the failed test was due to a combination of Adderall and Claritin-D, but his case was dismissed. 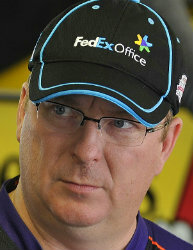 He has been unsuccessful in two prior appeals, and in late March, the United States Court of Appeals once again refused to reinstate the case, saying U.S. District Judge Graham Mullen had ruled correctly that Mayfield had waived his right to sue when he signed an application to be a NASCAR driver and team owner. Speaking briefly with reporters during an appearance in Caldwell County court today, Mayfield said he will pursue the case no further. That decision will not bring an end to his legal problems, however. He appeared in court today on one felony count of possession of methamphetamine, three felony counts of possession of stolen goods and one count of obtaining property under false pretenses; all related to a Nov. 1, 2011 search of his home by sheriff’s deputies. If convicted, he faces a maximum of 14 years in jail. He also saw his North Carolina home go on the auction block this morning as part of a bank foreclosure. Mayfield and his wife, Shana, took out a pair of mortgages totaling $3,127,500 on the home and its surrounding 455-acre property in July of 2006. The loans fell into default after Mayfield was suspended from NASCAR, with approximately $2.3 million in principal still owed. Foreclosure proceedings began in December of last year and Mayfield’s lender, Carolina Farm Credit, purchased the home today for $1.725 million. CFC will allow new bids to be submitted on the $3 million property for the next 10 days. Mayfield has disputed the specifics of the case, telling reporters, “those numbers ain’t right” during a court appearance last month. He said he had a plan to save his home from the auctioneer’s gavel, and in a Twitter post recently, said the home, “will always be mine.” In the aftermath of today’s auction, however, he now has 10 days to pay the entire balance due, or vacate the property. The No. 01 JD Motorsports NASCAR Nationwide Series team suffered a total loss to their hauler on Sunday evening, when it caught fire at their race shop. There were no injuries and the tractor was detached and pulled away before suffering any damage. However, the hauler loaded with equipment, uniforms, back-up parts, engines, shocks and springs for their operation was a total loss. Fortunately for the team, their primary and backup No. 01 Restaurant.com Chevrolets for this weekend’s race at Talladega Superspeedway were not on the hauler at the time of the fire. The race shop also emerged with no damage. “The fire department told me the fire started near the refrigerator on the hauler;” said Johnny Davis, team owner. “That’s powered by propane, like everyone else’s is on these haulers. It started around 7 p.m. and we were able to detach the tractor before anything happened to it and get that out of the way. “The hauler itself is a total loss; almost everything on there is burnt beyond use. Luckily, the fine folks at Robby Benton Racing stepped up and will let us use their hauler for this weekend’s race. We were also fortunate enough to have Black’s Tire helps us out to get to race this weekend, too. On behalf of everyone on my team, we’d all like to thank them for their help. A few facts, if you will, concerning Saturday night’s “Capital City 400” at Richmond International Raceway. Controversy erupted in the aftermath of the race’s penultimate restart, when Carl Edwards was black flagged by NASCAR for jumping the green flag with 81 laps remaining. The Roush Fenway Racing driver had dominated the race to that point, leading 206 laps of the 319 laps run. But a bizarre set of late-race circumstances set the stage for confusion, anger and misunderstanding, leaving Edwards to scramble back through the field for a disappointing 10th-place finish. Lap 308 (92 remaining): Drivers begin making green-flag pit stops for tires and fuel. Lap 311 (89 remaining): Moments after exiting pit road, Jeff Burton’s BB&T Chevrolet hits the wall in Turn Three, bringing out the caution flag. Just three drivers -- Edwards, Jimmie Johnson and Tony Stewart – remain on the lead lap. Lap 313 (87 remaining): Johnson pits under the ensuing caution period, handing the lead to Stewart. Kyle Busch receives the “Lucky Dog,” bypasses the Pace Car and becomes the fourth car on the lead lap, along with Stewart, Edwards and Johnson. Lap 314 (86 remaining): Johnson is penalized by NASCAR for an errant tire on pit road, forcing him to restart at the rear of the field. Lap 318 (82 remaining): Numerous cars take advantage of NASCAR’s “wave around” procedure, passing the Pace Car and putting themselves back on the lead lap. They take their place at the back of the pack, restarting behind a number of lapped machines. The field forms-up for the restart, with Stewart on the inside of the front row and Edwards alongside. While scrubbing tires for the impending restart, Edwards crosses the start/finish line ahead of Stewart, causing RIR’s automated scoreboard to erroneously display him as the leader. A FOX television graphic also displays Edwards as the leader. Edwards is informed by spotter Jason Hedlesky that he is, in fact, being scored as the leader. (Hedlesky subsequently claims a NASCAR official confirmed that Edwards was the leader of the race; a statement the sanctioning body denies.) Edwards assumes that as the leader, he is in control of the impending restart. Lap 319 (81 remaining): Edwards accelerates in Turn Four, prior to entering NASCAR’s mandated “restart box.” The green flag flies and Edwards beats Stewart to the start/finish line by a wide margin. He is immediately black-flagged by NASCAR for jumping the restart and pits to serve his penalty, forfeiting any chance for victory. FACT TWO: Scoring pylons and television “crawls” are unofficial. Track scoreboards and television graphics are based on raw transponder data, and are intended only to help fans and viewers keep up with the race. Lineups are frequently adjusted by NASCAR prior to restarts, and no restart lineup or finishing order is official until confirmed by the sanctioning body. In short, it’s dangerous to assume, without being in possession of all the facts. FACT THREE: If Edwards had been the leader of the race, NASCAR would have allowed him to choose his lane for the restart. Despite a good deal of confusion in the spotter’s stand and pit area, NASCAR never wavered in designating Stewart as the rightful leader of the race. The sanctioning body indicated as much by allowing the defending series champion to select the advantageous inside line for the restart. 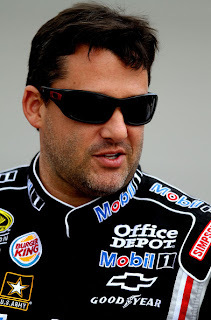 “Coming to the one to go, they knew (Stewart) was the leader and (Edwards) was second,” said NASCAR’s Robin Pemberton. “It's as clear as that." FACT FOUR: Edwards’ Lap 319 restart was illegal, whether he was the leader or not. NASCAR mandates that all restarts must occur within a designated “restart box.” Lines are clearly painted on the wall, delineating the parameters of this box. Drivers are told every week in their pre-race driver’s meeting that failing to honor the boundaries of the restart box will result in a black flag. Numerous television replays show that Edwards restarted well before entering the box, leaving Stewart in his wake. Stewart may (or may not) have compounded the situation by spinning his tires, or intentionally laying back to make Edwards’ infraction more apparent. In the end, however, it doesn’t matter. When Edwards gassed up his No. 99 Ford before reaching the restart box, he sealed his own doom. Richard Petty Motorsports has hired veteran Mike Ford to serve as crew chief for the No. 43 NASCAR Sprint Cup Series team and driver Aric Almirola. Ford joins the team after leading Denny Hamlin’s No. 11 team to six consecutive post-season appearances in the NASCAR Sprint Cup Series. He will join the team immediately and will be atop the pit box in Talladega. The 42-year-old Morristown, Tenn., native spent the past six seasons with Joe Gibbs Racing as Hamlin’s crew chief. In that span, he led his team to 17 wins, 66 top-five finishes and 108 top-10 finishes and never missed a Chase appearance. The 12-year Sprint Cup veteran also previously held crew chief roles for Dale Jarrett at Robert Yates Racing and Bill Elliott at Evernham Motorsports. In eight races with Petty, Almirola has one top-10 and one top-15 finish in the 2012 Sprint Cup season. Ford said he is also looking forward to join forces with Petty and Almirola. Ford replaces Greg Erwin, who joined the team in mid-2011. Sadler On Penalties: "We Don't Know What's Going To Happen"
Sadler: "Every template fit the car." 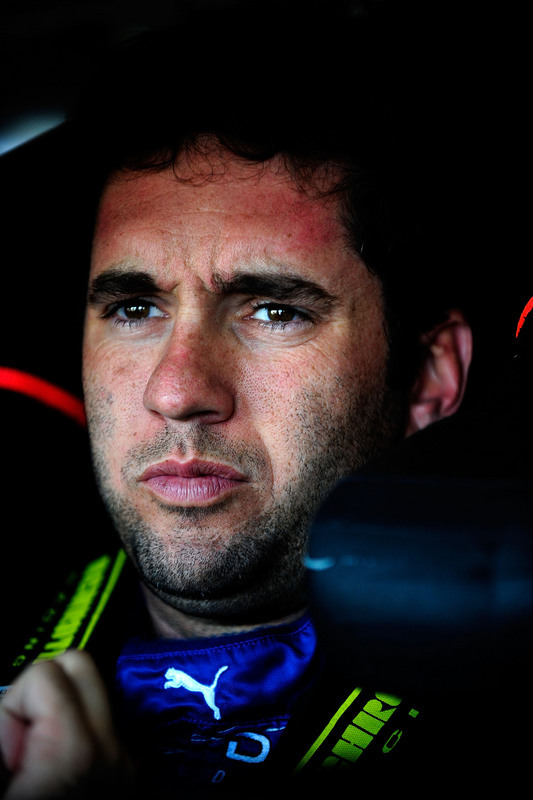 Elliott Sadler commented yesterday on the issues facing his Richard Childress Racing NASCAR Nationwide Series Chevrolet, and his comments sounded eerily similar to those uttered by Sprint Cup Series team owner Rick Hendrick just a few weeks before. 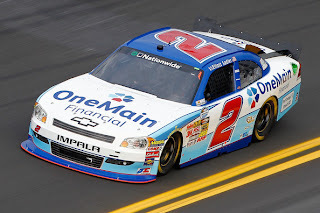 Sadler’s One Main Financial Chevrolet was one of six cars from the RCR and Turner Motorsports stables found to have "modified upper bumper covers" in pre-race inspection for last night’s “Virginia 529 College Savings 250” at Richmond International Raceway. Also found in violation were the cars of RCR teammates Austin Dillon and Kevin Harvick, along with Turner Motorsports drivers Justin Allgaier, James Buescher and Kasey Kahne. All six teams were required to replace the noses of their cars prior to last night’s race. 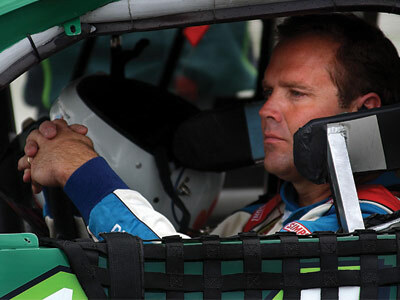 Sadler finished sixth Friday night. 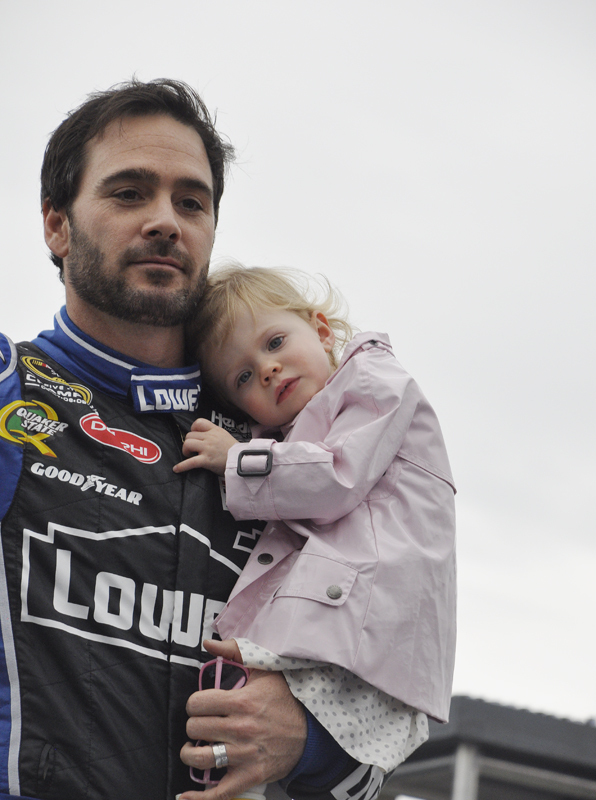 In February, team owner Hendrick made similar claims after Jimmie Johnson’s No. 48 Chevrolet was ruled to have illegal c-pillars in pre-qualifying inspection for the Daytona 500. Like Sadler, Hendrick said NASCAR officials never measured the parts in question before ruling them illegal. The team was fined and docked championships points, but most of the penalty was overturned by National Stock Car Racing Chief Appellate Officer John Middlebrook on appeal. Sources close to the sanctioning body say the RCR teams had altered the wheel wells on both sides of the car, while the Turner cars were altered on only one side. NASCAR rules require the nose pieces be run as they come from the manufacturer, with no modifications allowed. Sadler said he has no idea what to expect Tuesday – NASCAR’s traditional day to announce penalties from the previous race weekend – saying he and his team are “a little confused” about the nature of the alleged violation. “I guess we'll see what Tuesday brings us, but we can't do anything about it. NASCAR asked us to cut it off, so we cut it off." He confirmed that RCR has replaced the noses on six cars – three primaries and three backups -- scheduled to compete at Talladega (AL) Superspeedway next weekend. Sadler drove his reworked Chevrolet to a sixth-place finish at RIR Friday night, and now leads defending series champion Ricky Stenhouse, Jr., by just two points. Kevin Harvick does not agree with Bruton Smith's recently announced decision to rework Bristol Motor Speedway, and apparently, he’s not alone. One after another today, a series of NASCAR Sprint Cup Series drivers told reporters they were not consulted about the change, and are against the idea. 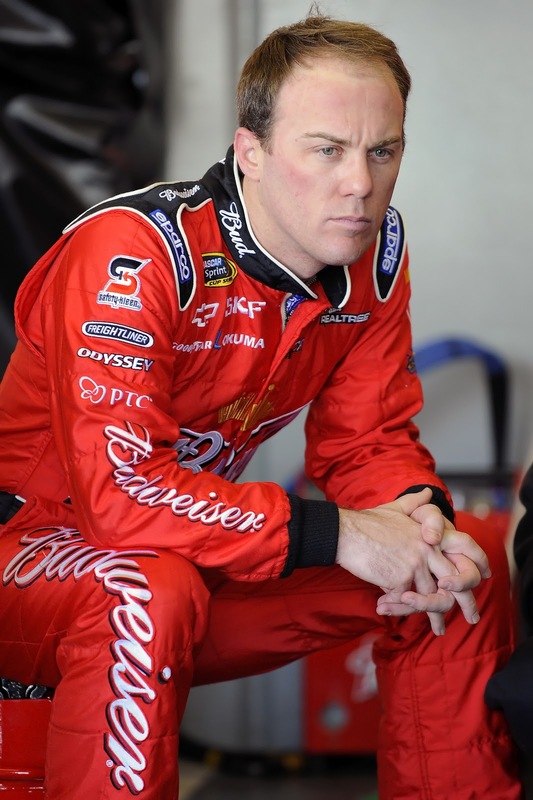 The most outspoken of the group was Kevin Harvick, who criticized Smith for soliciting the opinion of NASCAR Hall of Famer Darrell Waltrip, and not him. Harvick claimed he was contacted by BMS management earlier this month to request a meeting, but that the track never followed through. "They were all gung ho on wanting to meet at Texas,'' he said, “(but) nobody showed up, nobody called, nobody wanted to talk anymore. I guess maybe they were embarrassed that they just wound up grinding it. "Racing will be the same." Driver Dale Earnhardt, Jr., said he doubts the racing will change at the Tennessee oval, adding that he enjoys the track’s current layout, “I believe the racing will be the same,” said Earnhardt. “Grinding will take away a little groove, but once we lay a little rubber down it'll be just like it was, which I think is fine." Five-time series champion Jimmie Johnson said he was not consulted, either, continuing a recent pattern of track’s making changes without asking for driver feedback. "There's a lot of drivers in the garage -- including myself -- that have made it known we're available,'' said Johnson. "I wasn't asked on this one (and) I wasn't asked about Kansas.'' He said management at Phoenix International Raceway sought his input before their recent repave, but failed to integrate any of his suggestions into the final design. 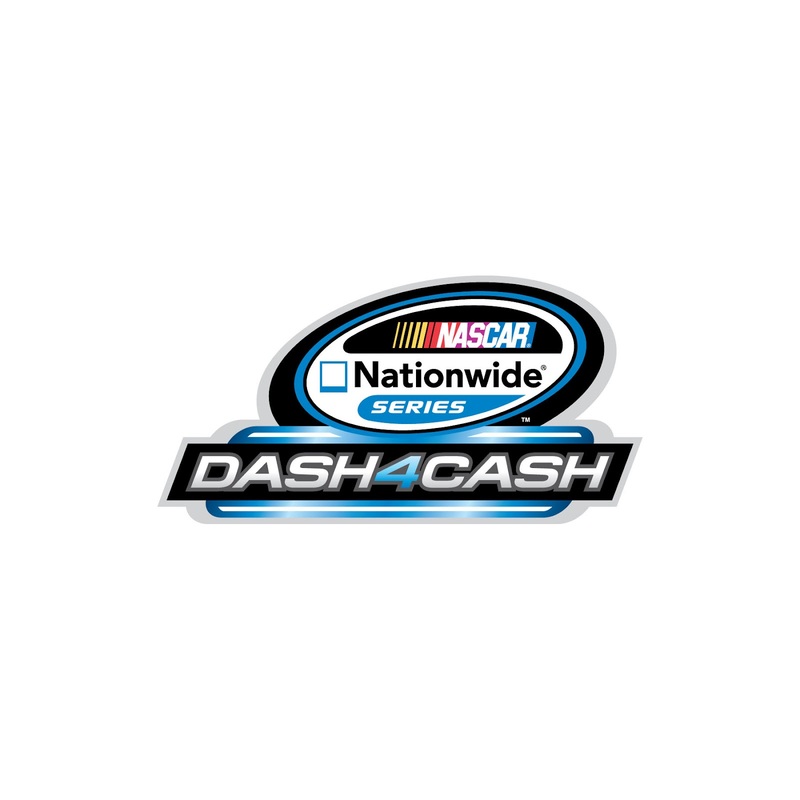 For the fourth consecutive year, NASCAR and Nationwide Insurance have combined to bring back the “Dash 4 Cash” bonus program for Series drivers and fans. Introduced in 2009, the “Dash 4 Cash” rewards the highest-finishing eligible driver in four designated races with a $100,000 bonus, above and beyond the race purse. Fans also can participate via a sweepstakes that culminates with one lucky fan also winning $100,000. The basic format of the event is unchanged. In four select races this season, four drivers who have earned the right to compete for the $100,000 per-race bonus will “have at it.” The “Dash 4 Cash” winner does not necessarily have to win the race. He or she must simply be the highest-finishing eligible NASCAR Nationwide Series contender. There are two key revisions to this season’s program. First, the July 6 race at Daytona International Speedway will serve as the “qualifier,” with the top four Nationwide Series finishers earning “Dash 4 Cash” designation in the first race of the program on July 14 at New Hampshire Motor Speedway. Also, this year’s “Dash 4 Cash” races will be run in succession this year, with the July race at New Hampshire followed by the July 22 race at Chicagoland Speedway, the July 28 event at Indianapolis Motor Speedway and the Aug. 4 race at Iowa Speedway. · New Hampshire Motor Speedway (July 14) – Top four drivers to receive NASCAR Nationwide Series (NNS) championship driver points at Daytona qualify for New Hampshire. · Chicagoland Speedway (July 22) – New Hampshire “Dash 4 Cash” winner plus top three finishing drivers to receive NNS championship driver points. 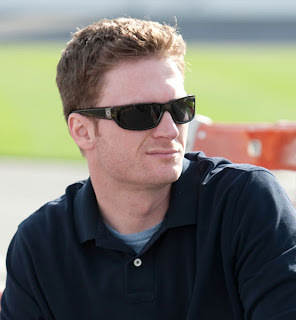 · Indianapolis Motor Speedway (July 28) – Chicagoland “Dash 4 Cash” winner plus top three finishing drivers to receive NNS championship driver points. · Iowa Speedway (Aug. 4) -- Indianapolis “Dash 4 Cash” winner plus top three finishing drivers to receive NNS championship driver points. If a driver is able to win the “Dash 4 Cash” bonus in each of the first three races, then win the Iowa Speedway finale, Nationwide Insurance will pay an additional $600,000 to that driver in Victory Lane. “We’re looking forward to partnering with Nationwide Insurance for another round of the ‘Dash 4 Cash’ program,” said Steve O’Donnell, NASCAR senior vice president of racing operations. 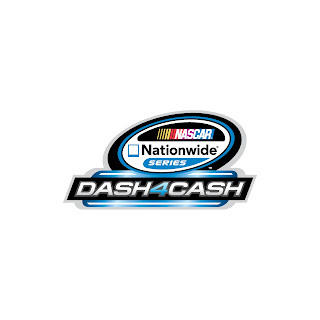 “Since its inception, ‘Dash 4 Cash’ has brought increased notoriety to the drivers, teams and participating tracks in the NASCAR Nationwide Series. "Offering a $1 million bonus opportunity for NASCAR Nationwide Series teams brings another level of intensity to the race track and more attention to our series," said Jim McCoy, director of strategic partnerships for Nationwide Insurance. "There's a very good chance a driver could get hot and take home the million dollar bonus at the conclusion of our ‘Dash 4 Cash’ series at Iowa Speedway, where Ricky Stenhouse Jr. won both races in 2011." The program isn’t just for the drivers. Since fans drive the sport, they are also encouraged to participate by visiting www.NASCAR.COM/dash4cash and registering for a chance to win $100,000. Four lucky fans and their guests will win an all-expense paid trip to the final “Dash 4 Cash” race at Iowa. In addition to a VIP experience, those fans will be randomly paired with the four eligible “Dash 4 Cash” drivers for the race. The fan whose driver wins the Iowa “Dash 4 Cash” award also will receive a check for $100,000. 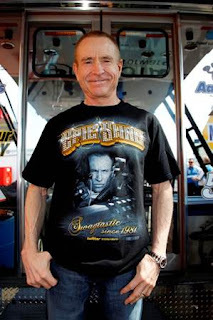 At 53 years old, Mark Martin is the oldest NASCAR Sprint Cup Series driver. He’s certainly one of the hippest, as evidenced by his new “Epic Swag” T-shirt. Martin and his Michael Waltrip Racing crew plan to sport the new black “Swagtastic since 1981” shirts at race tracks in the coming weeks. “I think they are pretty bad,” said Martin, with “bad” meaning… well… good. Martin’s Epic Swag saga began when the driver’s 65,000-follower Twitter account (@55markmartin) was hacked last month, rendering the 30-year NASCAR veteran completely powerless over his newest hobby. The culprit – known only as Epic Swag -- commandeered the account and began changing settings and altering followers. Quick work by Twitter restored Martin’s account to full functionality, and by late Saturday night, Martin was back to tweeting about his favorite rappers like Dr. Dre and Gucci Mane, and answering fan questions. His race team couldn’t resist some good natured ribbing of the future Hall-of-Famer, and gave Martin the new nickname “Epic Swag.” Martin’s No. 55 Toyota even carried the name above the driver’s window during the Sprint Cup race at Auto Club Speedway. Shirts are available online at www.markmartin.com and at the NASCAR.com Superstore. JD Motorsports, Restaurant.com and HalfOffDeals.com have entered into an agreement for primary and co-sponsorship on the team’s No. 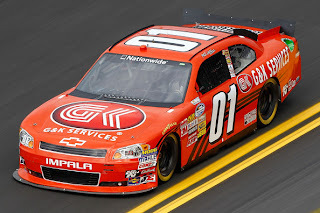 01 Chevrolet driven by Mike Wallace for the 2012 season. Restaurant.com is the leading provider of restaurant savings nationwide, offering nearly 50,000 daily deals at more than 18,000 restaurants. Customers can visit Restaurant.com or download the Restaurant.com iPhone app to search for restaurant deals in their area, or while traveling to the races. The agreement begins with an associate status for this weekend’s NASCAR Nationwide Series race at Richmond International Raceway, and will move to a primary partnership at Talladega Superspeedway the following weekend. Restaurant.com’s primary partnership will continue through all four races in the month of May. “We are very fortunate to have someone like Restaurant.com come on board with our team at this time,” said Johnny Davis, owner of JD Motorsports. “We have been so close to being that much better week in and week out. Now, with their help, we can try that much harder for better success on the track. Wallace, a four-time winner in NNS competition, will serve as a spokesperson for Restaurant.com in various advertising opportunities. “I looked through their entire website the other day and found some great place near my house I didn’t know about,” Wallace said. “We can also use these deals when we travel from city-to-city during our season. I know the fans of this sport will take advantage of what Restaurant.com has to offer. As an added benefit for our NASCAR family, fans are invited to visit HalfOffDeals.com to purchase a $200 eGift Card for only $35. In all, diners can choose from nearly 50,000 dining deals at more than 18,000 neighborhood restaurants nationwide. To learn more or take advantage of this offer, visit HalfOffDeals.com and click on the Restaurant.com offer. When Bristol Motor Speedway was a one-lane race track and the only way to pass was to deftly nudge the leading car out of the way, some people loved it. Others hated it. More recently, when a reconfigured Bristol spawned long runs of two and three-wide racing and far fewer wrecks, some people loved it. Others hated it. “Old Bristol,” with its multi-car crashes and volcanic tempers, packed its 160,000-seat grandstand with rabid race fans who could not bear the thought of missing a single spark or four-letter word. “New Bristol” – saddled with a flagging economy and soaring gasoline prices -- saw half its seats go unfilled recently for the first time in memory. Bruton Smith is the CEO of Speedway Motorsports, Inc., parent company of Bristol Motor Speedway. Always a “buck stops here” type of guy, Smith has never shied away from making difficult – even controversial – decisions. With a keen eye for discerning what the paying customers want, Smith was first to create a Fan Zone at his race tracks, giving spectators a level of access unprecedented in the sport. He brought the excitement and drama of NASCAR racing to new venues like Las Vegas, and transformed venerable ovals like Bristol into gleaming monuments to the sport. Now, Smith faces his latest – and perhaps greatest – challenge, trying to bring Bristol Motor Speedway closer to what it used to be, without alienating the purists who appreciate the more genteel aspects of recent events there. He announced Wednesday that construction crews will grind the track’s outside groove to eliminate the progressive banking and its inherent high-line advantage. The usable portion of the race track will also be narrower, leaving drivers less room to work and forcing them to once again elbow each other aside for the preferred piece of real estate. Progressive banking is not the enemy here. It has resurrected both Las Vegas and Homestead-Miami Speedways, turning them from ho-hum, one-laners to two of the more competitive venues in the sport. By grinding the outside lane and narrowing the usable racing surface, Smith hopes to re-create – to as large a degree as possible – the “Rock`em Sock`em Robots” atmosphere that sold out 55 consecutive Sprint Cup races there between 1982 and 2010. Bruton Smith is no stranger to controversy or polarization. In this instance, however, he correctly believes that the workable ground lies somewhere in the middle. He won’t leave the track the way it is, and he won’t change it back to what it was. He’ll attempt to find a happy medium, and race fans should wish him luck. 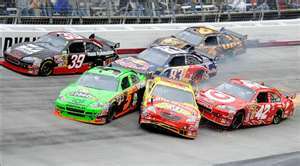 A second reconfiguration of Bristol Motor Speedway will not cure the economy. It will not bring gasoline back to $3 a gallon. But maybe, just maybe, it will re-create the sort of high-drama, “can’t miss” racing that convinces fans to ignore the economic realities of life, if only for two weekends a year. 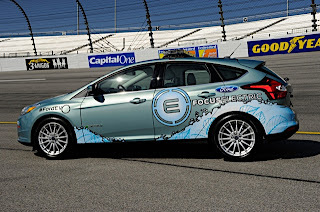 After being unveiled in a public ceremony today at the Virginia State Capitol, the 2012 Focus Electric pace cars are ready for a historic race weekend, becoming the first all-electric vehicles to pace a NASCAR Sprint Cup event. Set to pace the field at Richmond. 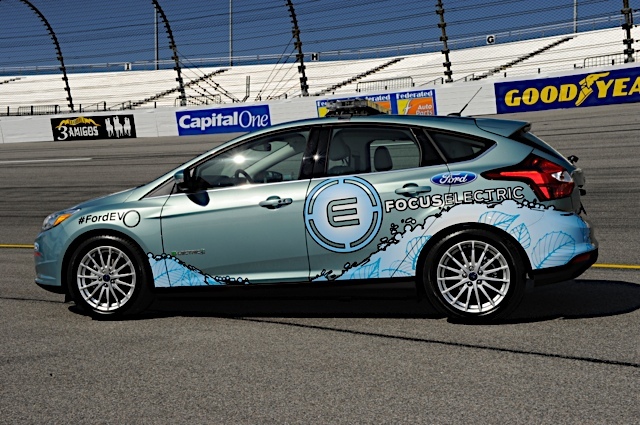 Two Focus Electric vehicles will perform pace car duties for the Capital City 400 presented by Virginia is for Lovers Saturday night at Richmond International Raceway. The cars were unveiled by Eric Kuehn, chief nameplate engineer of Ford Global Electrified Programs, NASCAR’s managing director of Green Innovation Mike Lynch and Virginia Lt. Gov. Bill Bolling. With Bolling and Kuehn in one pace car and Lynch in the other, the vehicles drove through the streets of Richmond after the ceremony to Richmond International Raceway, where they were turned over for weekend duty to Dennis Bickmeier, president of RIR. Bolling said the state of Virginia takes pride in having the all-electric pace car debut in Richmond. NASCAR’s Lynch pointed out that this weekend marks another historic moment in the sport’s history. 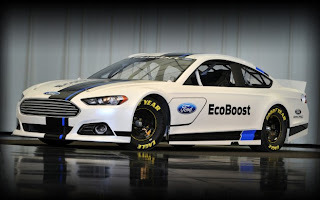 In addition to being the first manufacturer to compete with a four-door sedan as its flagship model in 1998, Ford was also first to use a hybrid to start a NASCAR event when the Fusion Hybrid served as pace car for the Ford 400 at Homestead-Miami Speedway in 2008. In January, Ford became the first manufacturer to show off its 2013 NASCAR race car when it unveiled the new 2013 Fusion racer to media in Charlotte, N.C.
Motor Racing Network – “The Voice of NASCAR” – will kick off a full weekend of coverage from Richmond International Raceway with Thursday’s exclusive webcast of the annual Denny Hamlin Short-Track Showdown. Reigning NASCAR Sprint Cup Series champion Tony Stewart is among the drivers scheduled to compete in the 100-lap special event that will run in two segments. MotorRacingNetwork.com will stream live coverage starting at 8 p.m. (EDT) on Thursday, April 26, with Dave Moody and Steve Post anchoring the broadcast. This marks the second year that Hamlin has held his charity event at RIR in conjunction with the track’s annual spring Sprint Cup/Nationwide Series doubleheader. Proceeds from the race will benefit the Denny Hamlin Foundation, which raises funds for individuals and families suffering from cystic fibrosis. Fans can make donations by visiting www.dennyhamlinfoundation.org. Thursday’s race is part of the 2012 NASCAR Whelen All-American Series Late Model Division … but with a twist. A number of big-name NASCAR drivers are competing including Hamlin himself, Stewart, Jeff Burton, Joey Logano and Kyle Busch – a two-time winner of the special event. Thursday’s webcast at www.motorracingnetwork.com, will kick off three straight days of MRN coverage from Richmond International Raceway. The live broadcast of the Virginia 529 College Savings 250 for the Nationwide Series will follow on Friday night at 7 p.m. (EDT). Motor Racing Network’s weekend will wrap up with the Capital City 400 Presented by Virginia is for Lovers Sprint Cup Series race on Saturday at 6:30 p.m.
MRN’s 2012 broadcast schedule features 87 live events from 33 venues, including full coverage of both NASCAR races from Richmond International Raceway this weekend. In addition to serving a nationwide network of affiliate radio stations, all programming is streamed live at individual stations’ websites, at www.motorracingnetwork.com and on mobile devices. Speedway Motorsports, Inc. CEO Bruton Smith confirmed today that the track will undergo additional modification in the coming weeks to narrow the track and eliminate variable-degree banking in the turns. 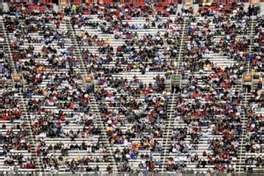 The announcement came in response to fan complaints of less bump-and-run racing at the Tennessee oval; long renowned as one of the most volatile venues in NASCAR. While Smith has said it is possible to restore Bristol to its precise, pre-2007 specifications, he stopped short of doing so, electing instead to modify the current layout. Crews will immediately begin removing the track’s uppermost groove, installing a new concrete surface that does not include the variable-degree banking that produced increased side-by-side racing in recent years. The track’s overall width will also be reduced, leaving drivers less room to maneuver. Work will be completed in time for a scheduled Goodyear tire test there in early June. 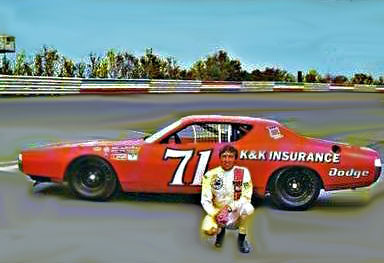 Bobby Isaac knew one speed: Fast. His uncanny skill at qualifying a race car proves that. His 49 career poles ranks tied for ninth all-time. Maybe more impressive: Isaac captured 19 poles in 1969, which still stands as the record for poles in a single season. Only 37 drivers have 19 or more poles in their entire career. Isaac began racing in NASCAR’s premier series in 1961. He finished runner-up in the series standings in 1968 behind NASCAR Hall of Fame inductee David Pearson. In 1969 he finished sixth in the standings after posting 17 wins and those 19 poles. In his breakthrough season, 1970, Isaac won the championship posting 11 victories, 32 top fives and 38 tops in 47 starts. A year later, in September 1971, he set 28 world class records on the Bonneville Salt Flats in his Dodge. Many of his records still exist to this day. Isaac won 37 races in NASCAR's top series during his career, which ranks 19th on the all-time wins list. In 1998, Isaac was named one NASCAR's 50 Greatest Drivers. This is the latest in a series of GodfatherMotorsports.com biographies profiling the 25 nominees for the 2012 class of the NASCAR Hall Of Fame. Each of the 25 candidates will be profiled in the coming weeks, in alphabetical order. 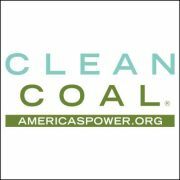 As part of its nationwide campaign to promote the importance of clean coal technology, the American Coalition for Clean Coal Electricity is partnering with Dale Earnhardt Jr. to represent the coalition and increase awareness. The agreement is part of a larger sponsorship between ACCCE and JR Motorsports that includes primary branding on JRM cars for four races and associate branding for the duration of the NASCAR Nationwide Series season. This is the first-ever sponsorship of a NASCAR team for ACCCE, which supports energy policies that balance coal’s role in supplying the United States with affordable and reliable electricity. Earnhardt is a coal man. The ACCCE will receive primary logo placement and branding on Cole Whitt’s No. 88 Chevrolet in Nationwide Series races at Dover International Speedway June 2, Michigan International Speedway May 16, Iowa Speedway Aug. 4 and Kentucky Speedway Sept. 22. ACCCE will have associate sponsorship placement on Whitt’s car starting this week at Richmond International Raceway and continuing through the remainder of the season. ACCCE will also be an associate sponsor on Dale Earnhardt Jr.’s No. 5 Chevrolet in the Nationwide Series race at Talladega Superspeedway on May 5. Whitt and the No. 88 team are currently ranked sixth in the NASCAR Nationwide Series championship. The team’s season tally includes one Top-5 and two Top-10 finishes in six starts. Earnhardt Jr. is slated to run his fourth and final Nationwide Series race of 2012 at Talladega. His season-best finish in the Nationwide Series is fifth at Bristol on March 17. For the second consecutive year, five-time NASCAR Sprint Cup Series champion Jimmie Johnson has been named America's Most Influential Athlete by Forbes Magazine. Forbes surveyed more than 1,100 adults, questioning them about national and internationally known athletes to gauge their popularity and marketability. Respondents were asked to choose from 40 different terms to describe each athlete, and 25 percent of those questioned used the word "influential" to describe Johnson, with 40 percent saying they liked the Hendrick Motorsports driver. 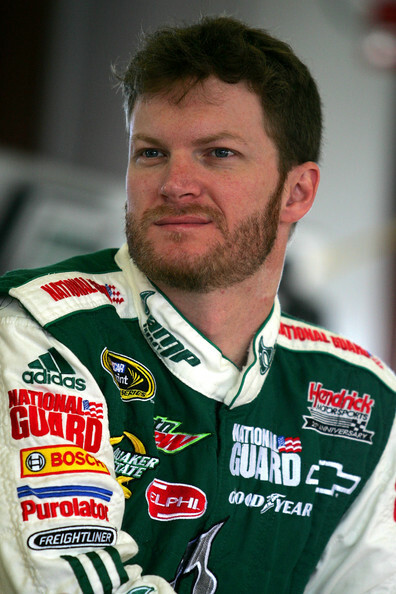 Teammate Dale Earnhardt Jr. was ranked seventh, after holding the No. 3 slot a year ago. Jeff Gordon was not ranked this year, after making the list last season. Six of this year’s Top-10 athletes were NFL players, including brothers Peyton and Eli Manning, Tim Tebow, Drew Brees and Aaron Rodgers. Has MWR Surpassed Gibbs As Toyota's Top Team? Dover Announces "Autism Speaks Day at the Races"
MRN Announces "Rev Up and Boot Up Sweepstakes"
Benton On MWR Alliance: "Why Would We Not?" Leonard Wood: King Of All Lawn Mowers!! Fans Respond To "Send A Soldier To The Rock"
Sam Bass Has Been Busy Again!